Spring has arrived and a girl’s thoughts turn to a new season’s wardrobe. 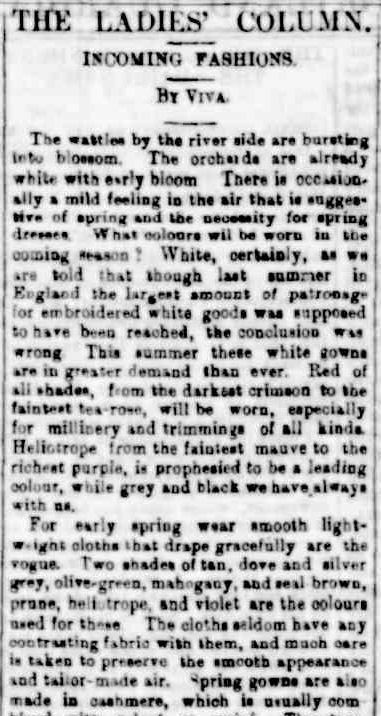 This was no different in 1940, 1900 and even 1860 with retailers promoting new season’s trends from as early as July. 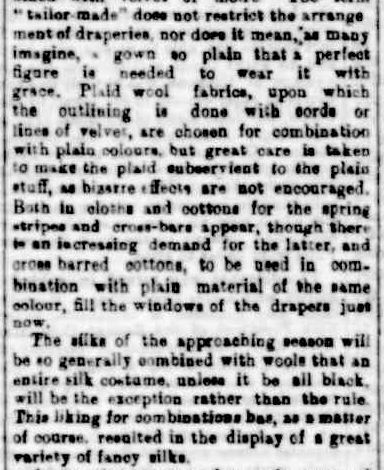 Ladies in Western Victoria would have required their woollens for a few more months, but a new Spring outfit was necessary for the milder days and social outings. 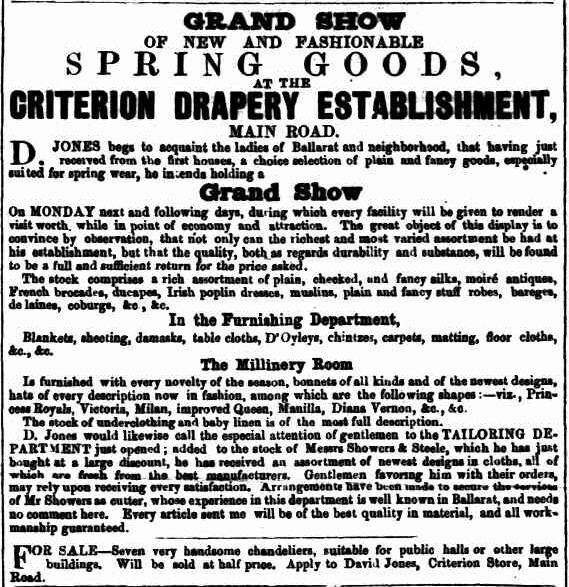 Mr David Jones was offering a “Grand Show” of spring wear at his shop on Main Road, Ballarat in 1858. 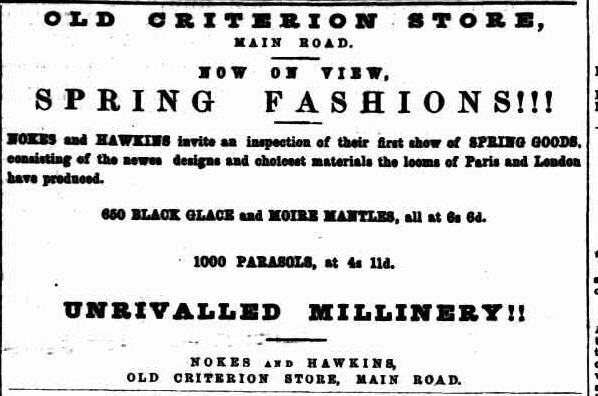 In 1862, the Old Criterion Store on Main Road Ballarat offered 1000 parasols for sale, perfect for keeping the Australian sun’s harsh rays at bay. 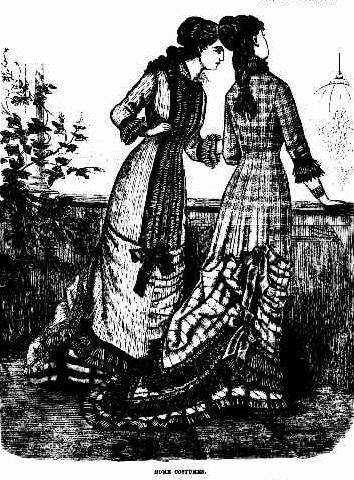 A sample of spring fashions from 1878. 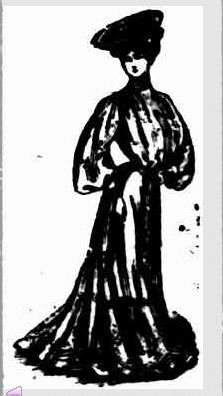 Spring fashions for the elegant lady of 1885. 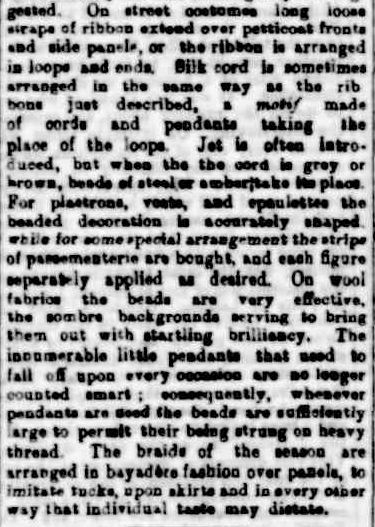 The following article appeared in the Portland Guardian on August 1881 and offered spring fashion tips for the ladies of the Western District. White, all shades of red and heliotrope were the colours of the season. Grey was the new black and black was back. Cashmere and plaid wool fabrics were popular as were ribbons and beading for embellishment. The 20th century arrived but fashion was so last century. Fashion began to evolve during World War 1. One change was dress length, with hems going up to save material. An interesting website Fashion Era offers further examples of fashion during this period. 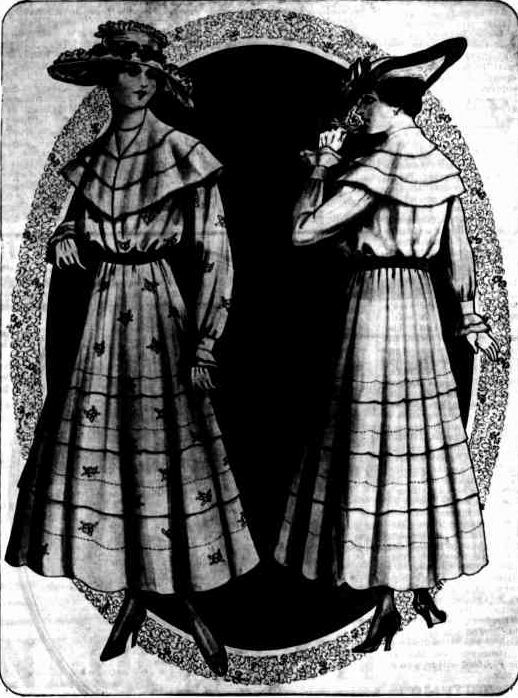 These dresses from 1918 show traditional styles were still popular. 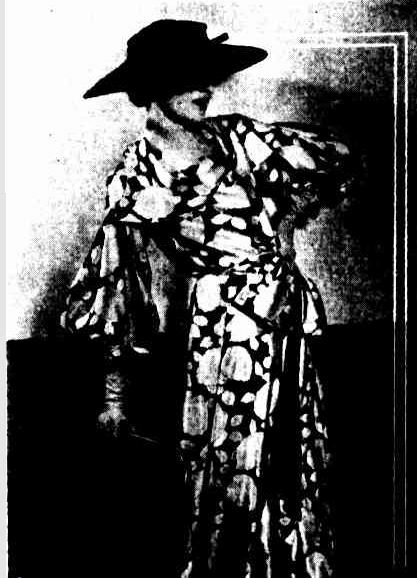 But things were changing and this dress, also from 1918, is an example of that. 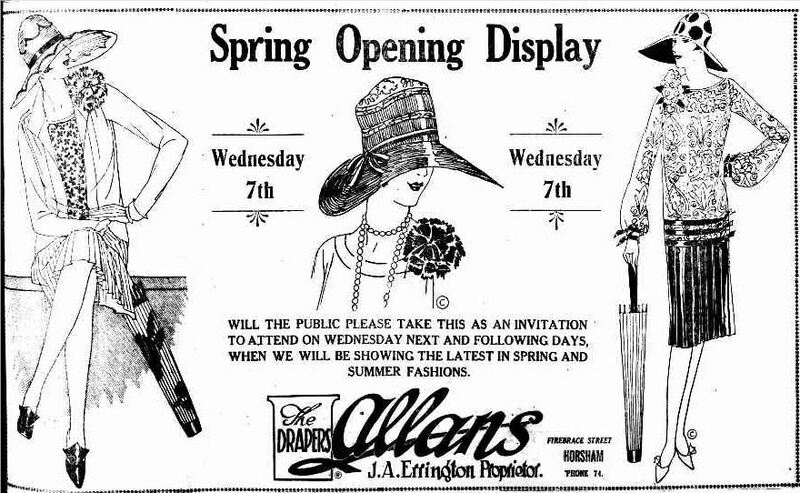 I love this stylish advertisement for Allans The Drapers of Fibrace street Horsham from 1927. Fancy the Phryne Fisher look? 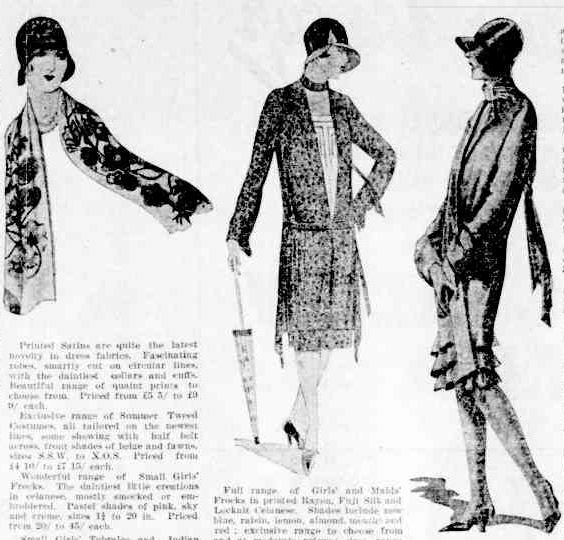 I can’t resist sharing more of the wonderful 1920s fashions, again from the Horsham Times. 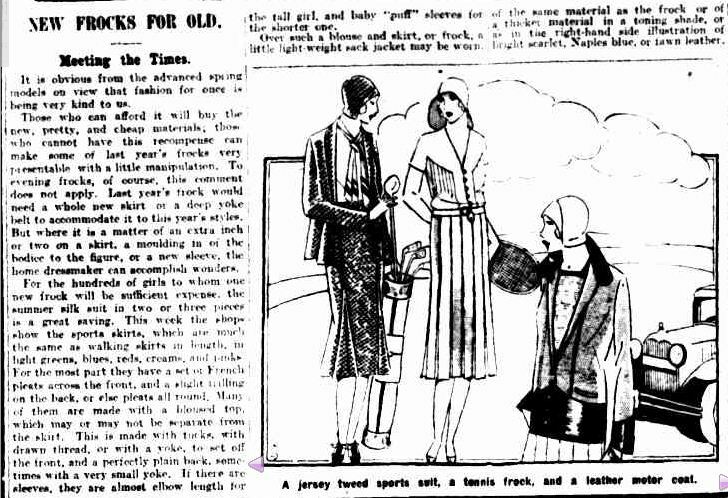 Another stylish look, this time from 1930. Patterns were back for Spring 1935. 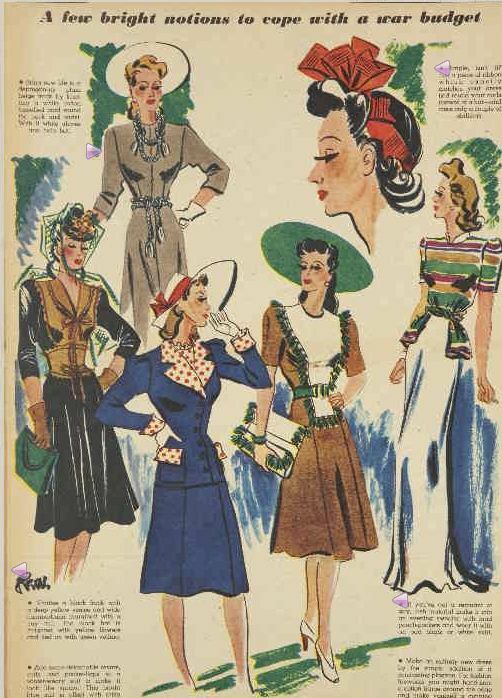 World War 2 saw a dramatic drop in the number of “spring fashion” articles in the papers, more so than the Great War. The years 1942, 1943 and 1944 had very few and those I found were mostly for sewing patterns. Families relied on coupons to buy goods, there was rationing of goods including fabrics and the fashion houses of Paris closed. If a woman wanted to keep up appearances, there was little alternative but to make a frock or remodel one from last season. 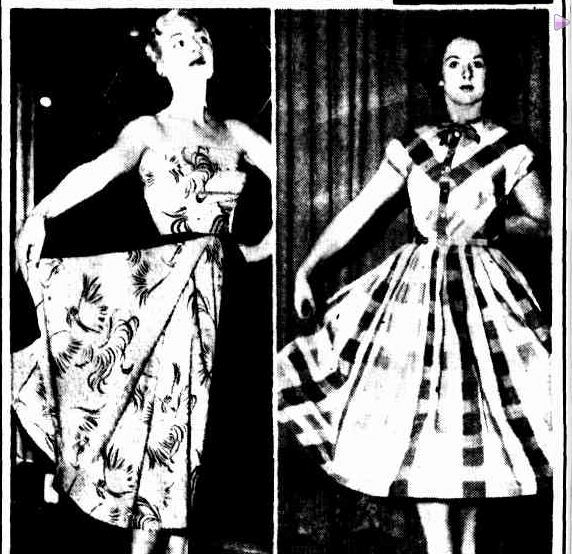 The latter half of the 1940s saw a rapid increase in fashion articles as women turned again to the fashion stages of Europe for inspiration and cast aside their drab wartime clothing. 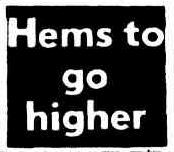 Shock, horror “Hems to go higher” in 1952. Just wait until the 60s! I could have continued to the 1960s but that would have gone on for some time as I do like the fashion particularly from the latter half of the decade. I could have gone on to the 70s too. While fashion from that decade was much maligned during the 1980s, anyone who saw Paper Giants: The Birth of Cleo was reminded of the great fashions of the 1970s. I think the 1980s would have pulled it up though. Agreed? Looking at fashions of different eras is beneficial to the family historian especially if you are trying to date photos. It also gives us some idea of what our female ancestors might have endured for either the sake of fashion or managing with what was available. 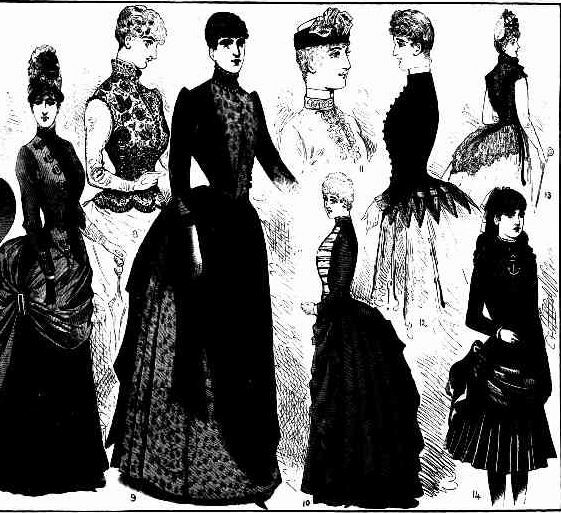 The long, impractical dresses of the 19th and early 20th century make me think of my ggg grandmothers on farms, getting in and out of buggies and tending fires for washing and cooking. Consider how your grandmothers or great grandmothers managed during the Depression when money was tight or World War 2 with coupons and rationing. No wonder my Nana was good at sewing, darning and knitting. It was a necessity. ***If you are interested in learning how your female ancestors washed their big dresses during the 1850s, the Sovereign Hill Education blog has great posts on washing, drying and ironing.